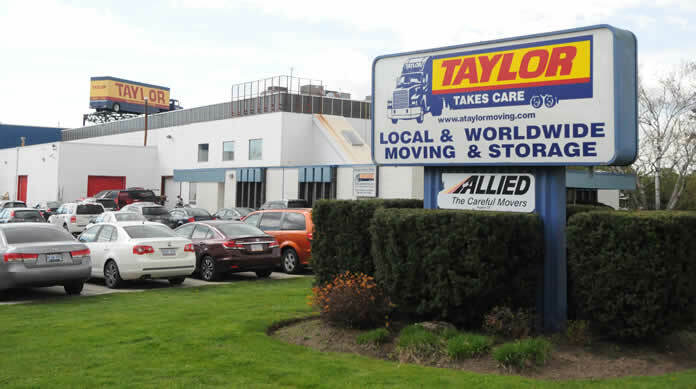 Taylor Moving & Storage Limited operating as Taylor Moving & Storage includes the division known as Taylor International. At Taylor Moving & Storage Limited, the privacy and confidentiality of your personal information is one of our highest priorities. In fact, this concern is detailed in an explicit section of each employee’s agreement. Upon their hiring, all Taylor Moving & Storage employees must read our strict Privacy Guidelines, and agree to them in writing. Taylor Moving & Storage requires all of its employees to comply with the standards of confidentiality. Access to, use of, and disclosure of personal information is limited to those Taylor Moving & Storage employees who require it to fulfill contractual obligations to our customers or agents. In addition, Taylor Moving & Storage uses the privacy standards recommended by the Canadian Standards Association and adopted as part of the Personal Information Protection and Electronic Documents Act. All personal information collected by Taylor Moving & Storage remains confidential and the property of Taylor Moving & Storage and as such will be appropriately safeguarded. When collecting personal information to fulfill our contractual obligation with our employees, customers and agents, Taylor Moving & Storage is obligated to respect the boundaries of employee, customer and agent privacy and confidentiality. Taylor Moving & Storage only collects the personal information that is required to do the job and our employees, customers and agents are aware of what information has been gathered and for what purpose it will be used. The knowledge and consent of an employee, customer or agent are required for the collection, use or disclosure of personal information. Taylor Moving & Storage expects that our customers have consented before submitting personal information to us. The collection of personal information shall be limited to that which is necessary for the purposes identified by Taylor Moving & Storage. Information shall be collected by fair and lawful means. Taylor Moving & Storage uses information collected from the employee, customer and agent to fulfill its obligations to the employee, customer and agent. Personal information shall not be used or disclosed for purposes other than those for which it was collected, except with the written consent of the individual or as required by law. Personal information shall be retained only as long as necessary for the fulfillment of those purposes or as required by Federal Law. Taylor Moving & Storage shall keep personal information as accurate, complete and up-to-date as is necessary for the purposes for which it was collected. It is the responsibility of Taylor Moving & Storage employees, customers and agents to supply Taylor Moving & Storage with accurate, complete and up-to-date information. Taylor Moving & Storage will make specific information about its personal information management policies and practices readily available upon request. Upon request, Taylor Moving & Storage will inform individuals of the existence, use and disclosure of their personal information in the case where Taylor Moving & Storage passes along personal information to complete its obligation to its employees, customers or agents. Taylor Moving & Storage is responsible for ensuring that the information passed on is protected in the same manner as if it were stored on Taylor Moving & Storage property. An individual shall be able to challenge the accuracy and completeness of the information and have it amended by Taylor Moving & Storage.